On behalf of Admin of JML Law, A Professional Law Corporation posted in Wrongful Termination on Monday, Oct 15 2018. Experiencing a wrongful termination is bound to cause feelings of anger and betrayal. After all, you have just lost your main source of income without proper justification. Unfortunately, the anger from your wrongful termination can boil over into all walks of life. The last thing you want to do is let your wrongful termination negatively affect other aspects of your life. 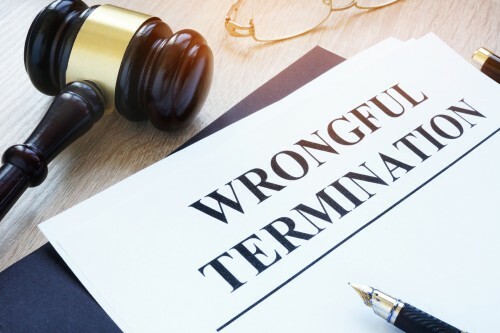 If you were recently terminated without just cause, you are likely searching for a Los Angeles wrongful termination attorney. While this is a wise decision, the last thing you want to do is alienate your attorney by letting your latent anger from the termination effect your behavior. This article will provide some tips to effectively communicate with your attorney about your wrongful termination. When you begin communications with your attorney, you should be prepared to communicate your case in a succinct, efficient manner. Pontificating about wrongdoings may communicate that you are bitter about being fired instead of defending yourself against wrongful termination. In your statement, you should communicate how long you were employed with your former employer. You should also communicate the effectiveness you demonstrated while holding your position. Additionally, you should communicate the nature of your termination directly and without personal opinion. For example, communicating your reason for absence or reason for filing a workers compensation claim would be a valid way to communicate your reason for missing work. If you were terminated after doing so, you may have a valid claim. When communicating your case, be sure to be specific. Using common terms associated with wrongful termination claims is a mistake. Stock language like “harassing me” or “assaulting me” makes it hard to establish an individualized approach to the case. The next aspect you want to consider is providing any evidence that relates to your wrongful termination claim. The evidence you should provide includes any official communication of your termination. You should also include any evidence you have that supports your belief that you were wrongfully terminated. Furthermore, you should provide the information of witnesses that you believe would be willing to support your claim. Finally, you need to prepare to face challenging questions from your attorney. As acknowledged earlier, bringing your anger from the termination into other aspects of your life will do nothing but hurt you. If your communications with your attorney are emotionally charged, you could risk communicating misinformation. In extreme cases, you could risk alienating your attorney. Losing your occupation unjustly is bound to cause an emotional reaction. However, your emotional state could be used to your disadvantage by your former employer. If you are considering filing a wrongful termination claim, this article can help inform you of the proper conduct to uphold while communicating with your attorney. With that being said, choosing the right Los Angeles wrongful termination attorney is essential for success. Our attorney’s at JML Law have the patience and determination to obtain compensation on your behalf. For a free consultation, contact us by give us a call at 818-610-8800.